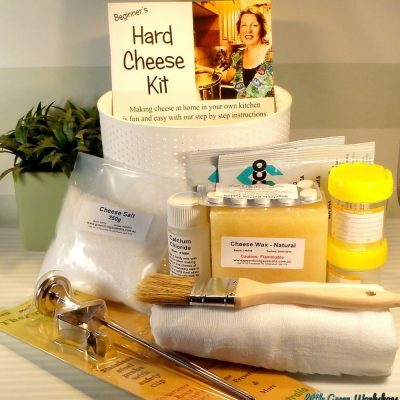 Delicious fresh cheese made in your own kitchen! 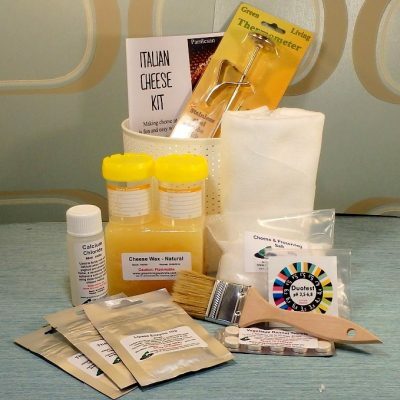 The Fresh Cheese Kit by Mad Millie provides you with everything you need to make an array of fresh artisan cheese at home. 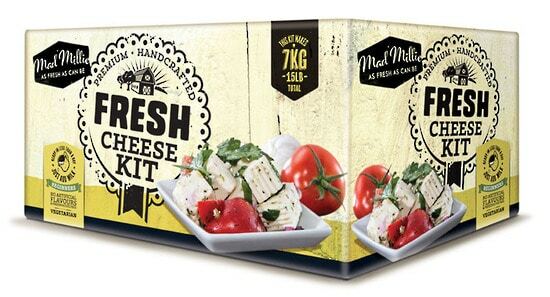 Just add fresh milk! Instructions to make Feta, Halloumi, Cream Cheese, Cottage Cheese, and Quark. 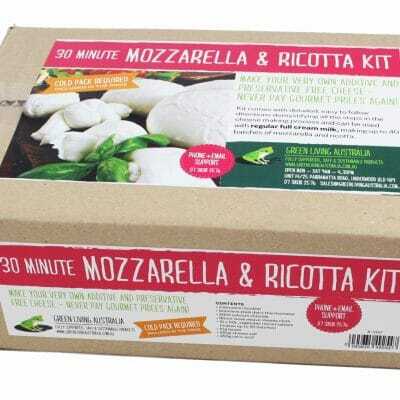 Purchase this product now and earn 37 Little Green Points! 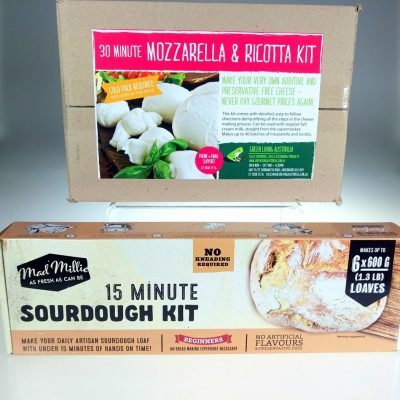 This Fresh Cheese Kit by Mad Millie is ideal for beginners and makes up to 7kg (15lbs) of fresh cheese. 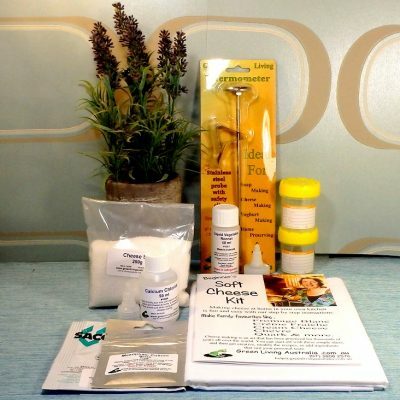 All consumables can be purchased separately once used. 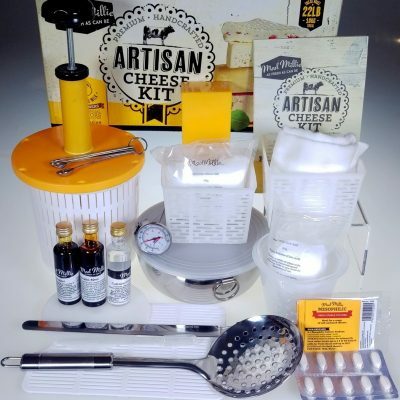 Kit includes Cheese Cloth, Cheese Salt, Square Feta Moulds (2), Steriliser, Mesophilic Starter Culture (MW3), Vegetarian Rennet Tablets (10), Stainless Steel Thermometer, Cheese Mat, Calcium Chloride, Pipette, Culture and Enzyme Measuring Spoons. 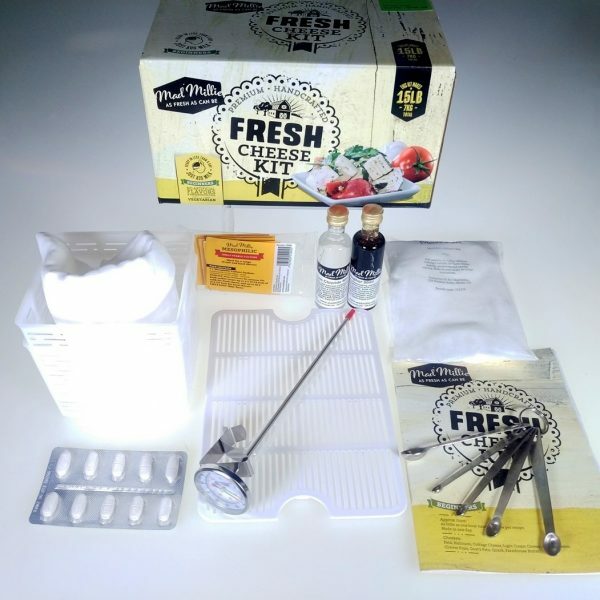 Gavin has made some delicious Halloumi using this kit. 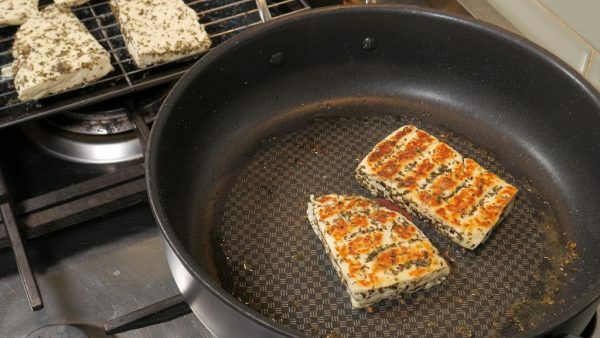 Check out his Halloumi made using the Fresh Cheese Kit. 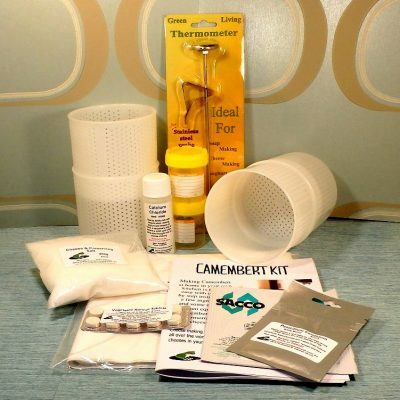 The mesophilic culture is shelf stable for 8 months at temperatures below 25 degrees Celsius. However, we suggest storing cultures in the freezer when you get them in order to prolong the life of the culture. 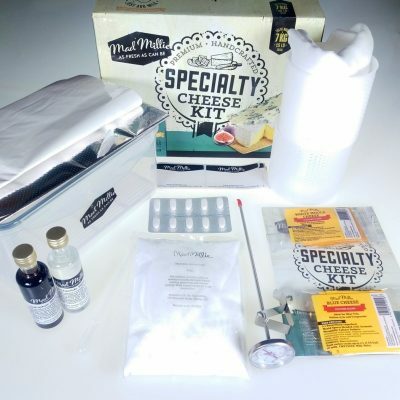 Note: The culture in this kit contains a very small amount of dairy.